Located in the heart of Summit County, 70 miles west of Denver, our home provides guests with a 1st-class accommodation while enjoying all the activities our county has to offer. 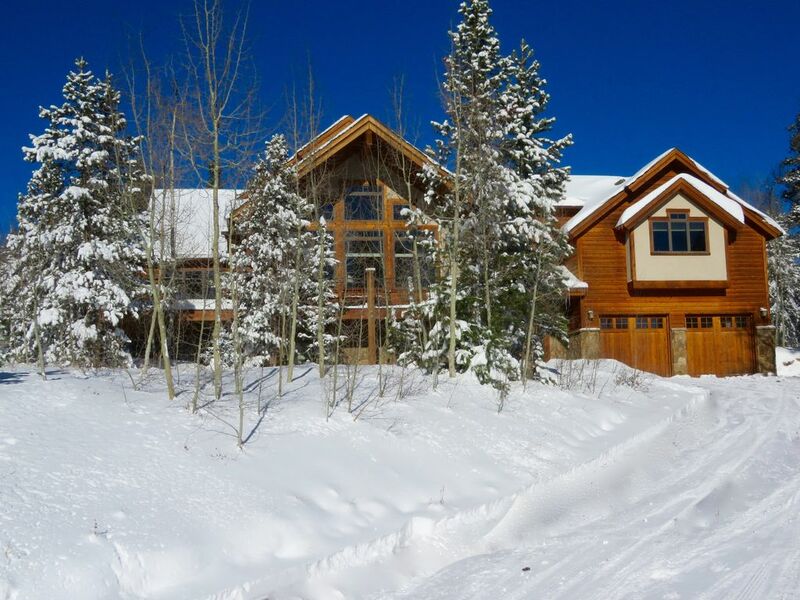 Centrally located to all the major ski areas, such as Keystone, Copper & Breckenridge, the home is convenient & easily accessible from I-70; yet it's quiet & tucked away in a small mountain neighborhood, surrounded by national forest. Our home offers all the amenities of an exceptional mountain retreat. Completed in the Fall of 2006, the home is over 4300 sq ft. & includes: 5 BR, 3.5 BA, 2 loft areas, large gourmet kitchen & dining room and a comfortable living room with a gas fireplace. The large, open floor plan is great for entertaining & socializing. The family room includes a TV & DVD player that is sure to please the entire family. As owners & managers of this home, we take great pride in providing our guests with a terrific & affordable vacation rental home. Jeff was born in Chicago, but moved to Colorado when he was 6 months old. He started skiing at an early age and joined the Keystone volunteer ski patrol when he was 16. At 21, he moved to Arapahoe Basin where he patrolled for the next 29 years. After graduating from CU in Boulder with a degree in Environmental Design, Jeff moved up to the mountains and started his building career. He still enjoys designing and building homes today. I was born in Doylestown, PA and moved to Colorado in 1979 to attend Veterinary Assistant School. Jeff and I met at a kids cancer camp in 1987 and were married 2 years later. We have 2 horses and 4 cats and live on a small acreage property just north of Silverthorne. After moving to Summit County, I worked with Jeff with his construction projects and in 1992 I passed my Real Estate Broker's test. Today I and own and manage, Buffalo Mountain Real Estate. In our spare time we enjoy white water rafting, bike touring, camping and working on our home. Views of Keystone's Resorts North Peak Mountain,Ten Mile Range, Baldy Mt. Large kitchen with Island and walk in pantry. The Island has 2 stools and 2 bar chairs around the countertop. In the Spring, Summer & Fall there will be a large gas fire pit on the back patio. Since we personally manage this home, you will find it clean and well stocked upon arrival. This is just a small list of what our guests will find upon arrival: paper towels, napkins, Kleenex, TP, hand soap, dish & laundry detergent, coffee & filters, tea, aluminum foil, saran wrap, kitchen spices, extra pillow & blankets and much more. If there is something you need, just let us know and we will try to bring the item to the home. The home also have a nice selection of videos, books and games. Our goal is to give you all the comforts of home and more. The house was beautiful, clean, well stocked, and kept in tip top shape. The views are remarkable! What a great week! The house had everything we needed and more! Jeff and Sherri were extremely accommodating and attentive to our needs throughout the week. We will definitely be back! Beautiful property with lots of room for larger family groups. Immaculately kept and very well appointed. The owners are engaged and responsive with any questions. Little extras like paper supplies in the kitchen, a basket of towels for the hot tub, and games and DVDs make it even more comfortable. We would definitely stay here again. Fantastic stay with the family. Sherri and Jeff were fantastic to work with and the house had everything we needed. Made dinner at the house every evening... Everyone enjoyed the family room and hot tub! Would definitely stay at the house next time in the area with the family! The home, it's owners and Summit County make this a perfect getaway! Stay here once and you will definitely want to come back to enjoy all it has to offer. Pictures don't do this home justice. We had 8 adults with plenty of room for everyone. Kitchen is well stocked and a joy to cook in. Large dining table seats everyone with room to spare. Great central location for many summertime pursuits. Owners are very helpful and want to make your stay memorable. Hope to visit again. Since we are centrally located in Summit County, you will have easy access to all the shopping, restaurants and outdoors activities that are available to our guests. Our home sits above the town of Silverthorne, so you will have endless hiking and cross country skiing trails in the National Forest minutes from the home. From the front deck & living room windows you can watch the sail boats on Lake Dillon in the summer and the see lights from Keystone in the winter.